This is the single greatest achievement that mankind has ever produced. With stunning dialogue, such as "Prepare yourself. The next thing I'll be playing is you. Make sure you squeal well. ", and amazing storytelling that generally revolves around you working hard, and then going to sleep with anime boys. It even include some amazing interactive sections that take a page from the legendary "Dora the Explorer" to further enhance story telling and immersion. As a firmly straight, male viewer, I must concede that even I felt some tingling in my pants while watching this. The message is that powerful. And to top it off, the sound design, using an innovative new technique called, "Lack of Sound Design", creates the deepest, richest atmosphere you've ever seen in a work of fiction. Actually, this work is such a paragon of the arts, it is all but reality to everyone who views. STORY: "YOU WORKED HARD TODAY"
Congratulations! This story is happy end! Thank you! Japan has ever produced. The haunting soundtrack ( an uptempo happy beat song produced by a recording company in terribly deep debt, followed by yawning silence afterwards) sets a chilling tone as the minutes crawl by like ants sliding up your arm. The disarming gentleness of the characters of each episode leaves you wondering why this anime exists, and therein lies the genius of this absolute masterpiece: from the senpai office worker who admits to stalking you and pondering suicide when his boss yells at him to the dead fish-eyed psychotic violinist who urges you to relax so he can perform John Cage's 4′33″ in absolutely faithful mimicry for an audience that doesn't exist, these pieces slowly build on the unease that persists as a theme, striking at the viewer with a meta-terror as they try to answer the most pressing question. The most pressing question of course being, why am I still watching this and why can't I stop? The answer to which provides the real terror for each viewer. So sick of all the trolling reviews, so here is my take from the standpoint of the intended audience (people who are into cute guys). This is essentially an animated Drama CD--sort of along the lines of Hitsuji de Oyasumi. A cute boy whispers in your ear while you fall asleep...or, that's the way it should be. Let's start with the good points. There is an audience for this, as proven by the continued existence of listener-insert romantic drama CDs. For those who are into it, a wide variety of boys are provided--chuunis, twins, and biseinen, oh my! However, a Drama CD hinges on its voice-acting--and personally, I found the acting in this to be fairly lacking. The first episode's pillow boy really got on my nerves, with his weird gasping between basically every sentence...I was tempted to pass him my inhaler through the screen. Not only that, but this show can't slide its way to a good rating simply by the standards that are required of a good Drama CD--it is, after all, still animation. Sort of. And here's where it gets weird. See, the characters don't really blink, or emote, or even stay on-model all the time. Shoestring budget, ahoy! The joys of the minute-blink (as in, "a few minutes long--blink and you'll miss it") anime genre! And the eyes look really weeeiiirrrd. Just a little peeve of mine. So the show has one thing to fall back on: are the guys hot? Well...I dunno. I suppose that's up to your personal interpretation, but no, I honestly have not found one of these boys to be very attractive yet. (Mr. Pillow #1 was kinda there, maybe, almost, but his voice killed it for me). Outside the realm of guilty pleasure, it fails as a Drama CD, and it fails as animation. What is it? Why did I give it an extra star? Why do I plan to finish this series? I dunno! I was so confused and curious that I figured I'd spend 3 minutes seeing what it was all about. The animation/character design is... OK. It varies based on the guy. Not liking one is no guarantee you won't like the next. There's not a lot in the way of sound. The voice acting is fine. I recommend if you want to try it DO NOT just click on episode one, but look at the thumbnails and choose one that appeals to you and only watch that, since the atmosphere and animation change to reflect the character. Wasn't a fan of the first guy though he looked a bit like Monkey from The Ambition of Oda Nobuna. The second guy seemed like a notice-me-senpai wish fulfillment. Now I just want to know who is next. WHY DO I WANT TO WATCH ANOTHER ONE?! When they ask a question and pause for your answer it makes me laugh so much, like its a little kid show such as Blues Clues or Dora the Explorer and the animated characters are "really" waiting for your response. I also end up being curious about what type of person they are talking to. The significant other, despite supposedly being you, clearly has a different personality each time and history with the characters. What kind of person would let the first guy freeload in their house (not me)? What kind of person is the second guy's kouhai that goes out drinking and works long hours in the office (not me)? These are the real questions. 1) Merry: Wasn't a fan, he seemed too clingy and needy for me and like there wasn't a whole lot going on upstairs. 2) Tanaka Sousuke: He seemed nice and gentle but not really my type. He's the sort of guy you see as a mentor or big brother. It was sweet when he shared his troubles at work. Definitely the right guy to trust getting you home safe after a night of over-drinking. 3) Hanamine Kanade: This guy is a huge joke to me for some reason. He's some kind of violin prodigy, but there's no violin sound track so you have to just kind of imagine that he's playing something. He comes off as ridiculously arrogant, to the point that it pissed me off a bit. Then he sees a spider and flips, which is just hilarious. I cant take a guy like that seriously, I'd just collect the spider keep showing it to him to put him in his place. Spiders are one of my favorite animals so I don't think we'd be compatible. 4) "Dialect Danshi" Kijinami Eiji: Cute design, I love his hairclips, though not sure why he chose a bowling pin. He seems like the kind of guy I'd be friends with... but probably wouldn't see romantically. He's a punky best-guy-friend type to hang out and play video games and trade manga and CDs with. "Why do you keep staring at me?" Because your face is the only thing on the screen...? I'm also not a huge fan of being threatened to be hit, even "jokingly" but I suppose some people don't mind. 6) "Delusions of Grandeur Danshi" Maki Yuu: Maki Yuu is a grumpy first year who is vaguely goth/emo (those are still things, right?). You are eating lunch on the school roof, and talking about his injured eye. He's quite vulnerable quickly, unlike the arrogant violin guy, which ends up making him a little more endearing despite his dark / troubled act. Poor guy doesn't have a lot going for him though, an injured eye, not good at sports, short, feels lonely, is a bit arrogant. But his stupid yawn towards the end actually made me yawn in real life (tho it is 1 am?) so I can't hate him. He sort of makes me feel more sibling-type feelings or sempai-type feelings, like I should help him and give him advice or mentorship. Not really romantic for me but if that's your thing, you'll love him. 7) "Innocent Danshi" Enokawa Haruto: WTF HOW OLD IS THIS CHILD??? Ah, the tagline says "A super-energetic, hot 5-year-old" Please tell me thats a mistranslation. Yeah I'm not going to be the pink ranger who's special move is "Naruto screw". Black is also not "rare" for a Beef Tendon, its well done, probably burned actually. Sorry guys, I'm turning it off at 2:15. I can't watch this. 8) "Happy IRL Danshi" Sasayama Nao : HEY BRO! He looks like the kind of guy I probably wouldn't have hung out with in college... but at least he's not literally a 5 year old. "I get told I'm interesting all the time" Right dude, at least you're not QUITE as conceited as the violin guy, still looks like kind of like a tool with the sunglasses and whining about homework. Cute though, I like his hairstyle and eyes. Yes I love popsicles thanks... And no I'm not skipping class to take a nap with you. Not academically rigorous enough for me. 9) "Librarian Danshi" Mochizuki Shirusu: OK this episode might be made just for me, a mature glasses guy with slightly messy, longer hair, who loves books and strives to make the best recommendation for every patron? His uniform is sort of ridiculous though, that tie... ugh. Not letting me take a nap in the library? How rude. I most definitely would not be reading that-- OMG KITTENS! He clearly knows me. 10/10 going back to the library. 10) "Flower Arrangement Danshi" Chigiri Yonaga Yayoi (twins) :This one out starts pretty creepy, with the two twins leaning over (you?) in bed, almost threatening. They almost seem more like horror characters than pillow boy characters, which is probably the point. Then they talk about what flowers they like, and accuse you of being a pervert, and bad at your job. I'm not convinced they're good at their job either, since they want to play "find the flower" but hide a maple leaf. Leaves aren't flowers, you'd think at least one flower-arranging twin would realize that. Guess where it is though... Their and haircuts outfits are dark and elegant, with red eyes, so if you like a bit of creepy horror vibe or twins this one might be for you. 11) "Food Stall Danshi" Iida Yuuichirou : It's literally a rugged guy working at a food stall. His tagline is "An old guy who loves Oden and Freedom". Sounds awesome. Great, you start out drunk and he's --- WAIT DUDE DON'T DRINK ON THE JOB! He owns up to being "the king of kings of creepy guys", though I think the twins have him beat on that. DUDE don't cough in my food. He says he's old but he really doesn't look over 40. This guy though, I just can't stop laughing at this one. Daikon on the house? Yes please. Scars in suggestive areas, mhmm. Seems complex and interesting? And he reads shoujo manga? 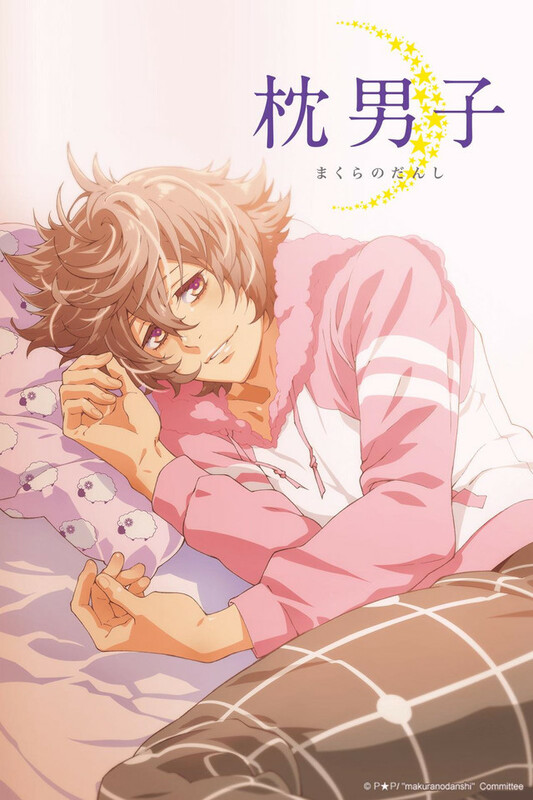 #1 danshi. 12) Merry part 2: Still not a fan of Merry. Stupid freeloader that just stares at cats. Did he at least clean the bathroom like I asked him to? No hugs if you don't do housework. Good at least he gets that I don't like him that much. "what's more important, me or your job?" YEAH MY JOB IDIOT. The sun doesn't have a smell. Even if your SO is into guys this is really not something to watch together. My partner was in the room with me when I said "what is this bizarre thing that's updated" and turned it on and I felt very uncomfortable with that. The way the show is scripted feels deeply personal and intimate and any other person nearby feels like an intrusion. You need to be in a quiet room alone to experience this show. I'm super curious about the next guy (WHY??????????) but I'm waiting until they go out to relieve my curiosity. This may be the creepiest anime I've ever seen. But I'm a straight guy, and not desperate. If you're a desperate straight female/gay male then this is probably right up your alley, it's basically a talking body pillow. Rated 4 because for what it is, it is well scripted and well animated, it's just creepy in a sad way. I would've tolerated it a bit more if it at least had some background music. I get that it wants to get down and personal with the audience but it came out as creepy and awkward. At this rate, I'd rather self insert the guy and live a narcissistic life with myself forever. Okay, episode 11 deserves a star of its own so +1. I love the ojisan and he beats the rest of them combined by faaaar. This anime is definitely for you if you want girl fan service or have the Sleepy Boyfriend app or play games like that, but if not I don't wouldn't suggest this, which is why I gave 3 stars. After seeing the first episode I can already tell that I will not be watching anymore. The conversation was too...boring and didn't really capture my attention. The whole time I was watching this I was wondering why on earth did I and why does this boy just stay at home all day while I am working... Sadly this anime doesn't have a description so I didn't really know what I would be expecting and all I have to say is that this is not it. It's an inexpensive production to launch a franchise of sorts. I mean, it's sponsored by some cotton association-- what did you expect? But it's a fun watch if you take it for what it is. It's for certain less creepy than the one with young girls launched years ago for the dude demographic. It's more about sweetness and comfort than something sexual. The voices are very soothing, so kudos to the seiyuu. I'm looking forward to the merchandise for this. I'm sure it will be pretty creative. Great for calming people down!! In general, this show's concept is quite weird, but I came to enjoy it after a few episodes! It's quite calming to listen to someone who "cares" (the violin dude didn't really seem to care) about you talking you to sleep. This is definitely something that I will come back to whenever I'm having an anxiety attack or can't go to sleep.